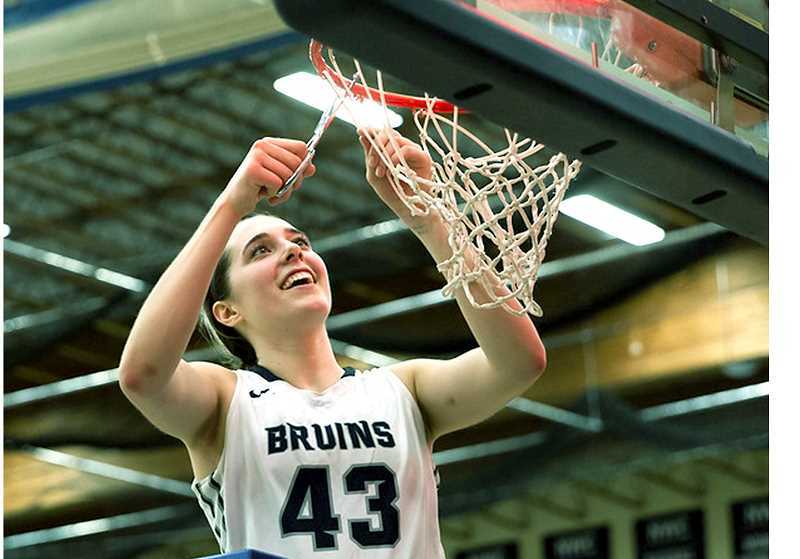 George Fox capped off an outstanding conference run with a championship on Saturday, beating Whitman 66-52 for its 13th Northwest Conference title. The No. 8 Bruins (24-3) have won 10 consecutive games entering the NCAA tournament and are winning thanks in large part to quality defense. GFU travels across the country to play Greenville (Illinois) University (23-4) on Friday at a neutral site in St. Louis. If the Bruins win they will advance to play the winner of host school Washington University-St. Louis and Wisconsin-Whitewater. 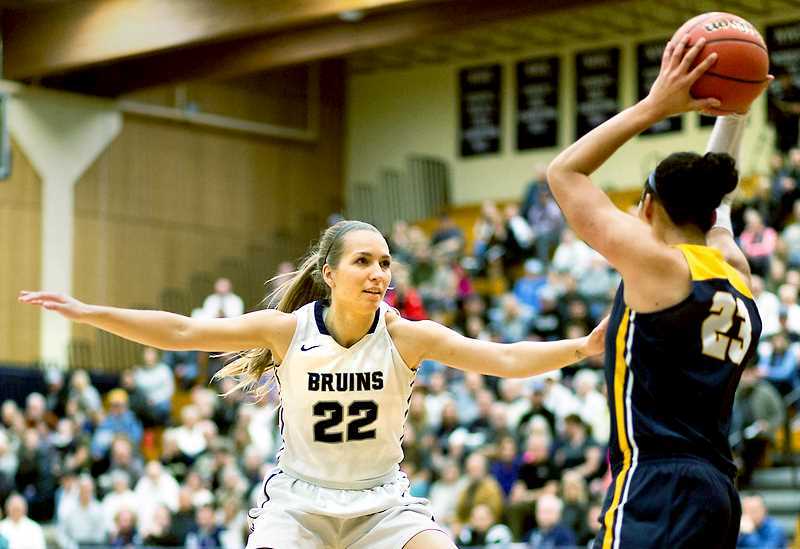 The Bruins' conference schedule prepared them for what they hope is a deep run in the Division III NCAA tournament. Coach Michael Meek said Monday that the team will thoroughly scout Greenville this week, watch film and formulating a game plan before making the trip. "I know how tough our league is and I'm so proud of this group," Meek said. "They continue to improve as a team and grow in so many areas. I'm thankful for the outcome in our league tournament and how it has set us up for the future. "We have one of the most underrated conferences in the nation. We've had three teams in the national championship game in the last eight years. Our league is a great league with a lot of different styles of play and great coaching, which prepares us for the NCAA tournament." Before it beat Whitman, GFU walloped Linfield 76-49 in the NWC tournament semifinals. It did so with constant, unrelenting defensive pressure and a winning attitude that has brought the program so much success in recent years. But the win streak – and what led to it – no longer matter. The Bruins face a challenging road to a national title and will need to maintain their level of play in order to prove their mettle on a national stage. If they end up playing "Wash U," as Meek called them, it will essentially be a true road game. Win that second game and they're in the Sweet Sixteen. GFU won't overlook its first opponent, though, as the Division III tournament is as unpredictable – if not more so – than its Division II and I counterparts, Meek said. Anyone can beat anybody, he said, so the Bruins can't let up at any point. That means maintaining its level of play on the defensive end and not having lapses on offense that allow their opponent to get back in the game, should the score line get lop-sided. "We have a lot of players on this team who have a great work ethic," Meek said. "Our style of play really plays to the type of kids that we have and our collective depth allows us to play with great energy. We have gotten stronger as the season has gone on." The Bruins have been here before. As one of the perennially ranked programs in the nation and consistently one of the best teams on the West Coast, the expectations are nothing new, and neither is the moment. This team is comprised of a number of young players, but according to Meek, the experienced players in its rotation will make the difference in the end. He hopes that will lead to a pair of victories this weekend that catapult a championship run. "This is a group of seniors that has been to the NCAA tournament all four years," Meek said. "I think that is very helpful, because they know how to manage travel and preparation out on the road in another part of the country."